Ripping DVDs to your PC or an external hard drive can be enormously helpful, giving you a handy backup in case your discs become scratched, or allowing you to get rid of the physical discs altogether if you don&apos;t have room for them. It might seem like a complicated process (Windows doesn&apos;t come with any tools for the job), but with the right free software you can easily convert the disc&apos;s contents to a file that can be stored anywhere. Here we&apos;ve rounded up the very best free DVD rippers that will make the job a breeze. The nature of free DVD ripping software means it&apos;s a segment of the software market that&apos;s home to a lot of malicious software. It can be difficult to know which DVD ripping software is legitimate, so we&apos;ve done the hard work for you and sorted out the wheat from the chaff. HandBrake is not only a free DVD ripper (or video transcoder, as it prefers to be known) but also open source, so it&apos;s totally free in every sense of the word. More than a decade in the making, the software finally reached version 1.0.0, It is – or at least looks – a little more complicated that some of the others we&apos;re looking at here, but don’t let that put you off. By default there&apos;s no support for bypassing copy-protection, but this is something you can get around with a little research (bearing in mind IP laws in your country). As with other programs, there are a number of presets ready for you to choose from, but you can also manually tailor each ripping session if you prefer. If you&apos;re working with ISO images or disc folders, it&apos;s possible to queue up multiple encoding jobs to run consecutively to save having to be around when each finishes. The sheer level of control makes HandBrake well worth a try. 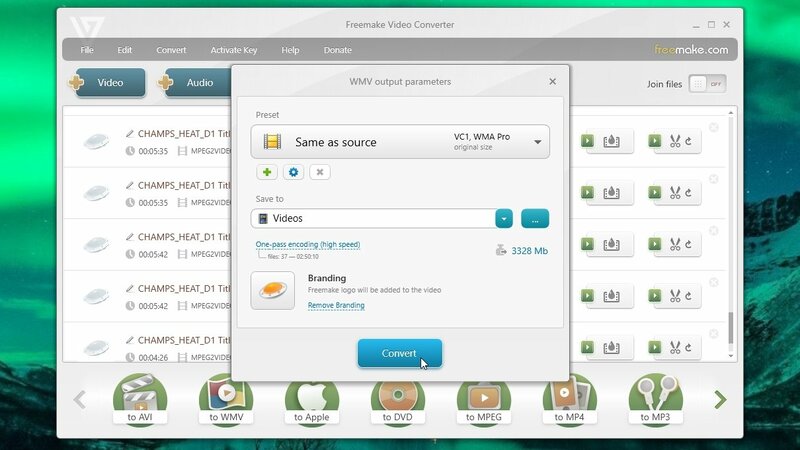 Freemake is a name synonymous with powerful, high quality freeware, and Freemake Video Converter doesn&apos;t let the side down. Its free DVD ripper boasts a clean, clear interface is a joy to use, and you&apos;re never left feeling in any doubt about what you&apos;re meant to do. Fire up the software, switch to the DVD section and choose your drive from the list. After disc analysis you&apos;ll need to indicate which of the video track you&apos;re interested in. You can even take things a step further and clip out segments of a video to rip rather than grabbing the whole thing. Shortcuts at the bottom of the screen provide access to popular output formats (AVI, MKV, device-specific formats); just make your selection, hit &apos;Convert&apos;, and you&apos;re done. Unfortunately, although it doesn&apos;t contain extra bundled software, the latest version of Freemake Video Converter adds a watermark to ripped videos. If you can live with that, it&apos;s one of the most convenient DVD rippers around. 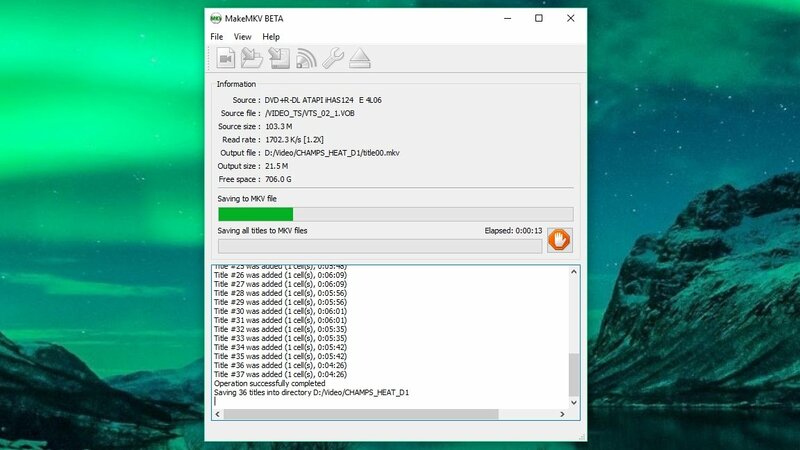 If you&apos;ve used free DVD ripping software before, MakeMKV might look a little familiar – it bears more than a passing resemblance to DVD Decrypter. As well as handling DVDs, the program, is also capable of ripping Blu-ray discs, and the process works in exactly the same way in each case (although it&apos;s worth noting that Blu-ray ripping is only be free while the program is in beta). The great thing about MakeMKV is that there is so little to think about. 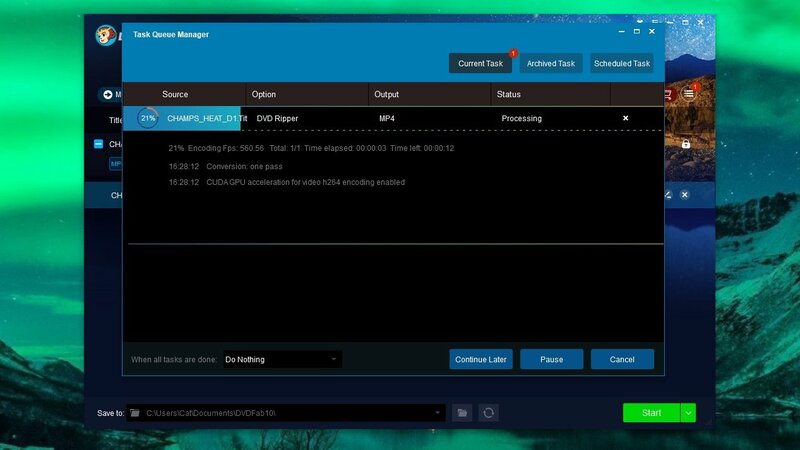 Fire up the program, analyze your disc, choose which of the track you would like to rip, indicate where the output file should be saved, and then hit the &apos;Make MKV&apos; button. That&apos;s really all there is to it. There&apos;s no messing about, no complex configuration – just analyze, rip and go. DVDFab is an unusual case. The full DVDFab suite isn&apos;t free of charge, but its DVD ripping component is. When you download the software, it installs as a trial version, but the DVDFab HD Decrypter – which you need for DVD and Blu-ray ripping – remains free forever. The free portion is rather limited, allowing you to rip discs in Full Disc or Main Movie modes only. This means that the free version is nowhere near as versatile as the other programs we&apos;ve covered here, but it still has its place. For example, it can be useful if you want to extract the video files from a disc and maintain their original formats when transferring them to your hard drive. You&apos;re then free to import the files into another program for further work if you want, or just use your favorite DVD software to watch the videos without the need for a disc to be inserted. When you install the free version of WinX DVD Ripper, you&apos;ll notice that it&apos;s actually the Platinum Edition in trial mode. This lacks a few of the features found in the premium version (mainly speed-related and a couple of specific DRM cracks), but you&apos;ll still have a powerful DVD ripper on your hands that you can use indefinitely. You can choose to rip the built-in subtitles or embed your own, and you can select which audio tracks should be included; it&apos;s all beautifully simple and pleasingly fast.